Bibs in various forms are used throughout the day, not only at meal times. Different bibs can be useful for different purposes: bibs for eating solid food (plastic, easy clean) or milk (soft and absorbant), dribble bibs and even special teething bibs. Feeding bibs reduce a messy mealtime for both parent and baby. 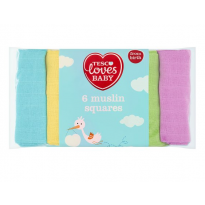 Every mum needs to have a muslin square cloth to hand as they have a multitude of uses. 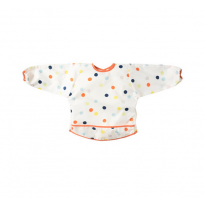 From protecting your own clothes when winding, to catching the inevitable overflow (sick) from milk feeds, or little possets, to moppping up spills, protecting clothes and many other uses. Compare parents reviews and find the best product you need in ConsoBaby.